I APOLOGIZE FOR THE DELAY. SOME FOLKS HAVE ANALOGIZED THIS JOB AS TRYING TO CONTROL A HERD OF CATS. AND THAT’S SORT OF WHAT WENT ON THIS MORNING BEFORE YOU GOT HERE. LITTLE DID I KNOW AFTER WATCHING THE PADRES FOR THE LAST COUPLE DAYS THAT IT MIGHT ACTUALLY BE HARMFUL TO YOUR MENTAL HEALTH MANDATING YOU WATCH THEM. HOPEFULLY THE ROAD TRIP WILL GET BETTER. AND FOR THOSE OF YOU THAT WANT AN OPTION OTHER THAN THAT, I’M A GOLF FAN MYSELF, LOVE PLAYING THE GAME AND LOVE WATCHING IT, ALTHOUGH MY WIFE THINKS IT’S THE GREATEST CURE FOR INSOMNIA THAT SHE’S EVER SEEN. BUT, ANYWAY, THERE’S A GREAT GOLF MATCH ON TONIGHT. SO IF YOU NEED SOMETHING, . . . I JUST WANT TO EMPHASIZE, AND THE REASON I TELL YOU THIS IS THERE’S A LOT OF INFORMATION OUT THERE RIGHT NOW THAT, NUMBER ONE, IS WRONG, AND, NUMBER TWO, OBVIOUSLY YOU FOLKS ARE GOING TO MAKE YOUR DECISION BASED ON WHAT YOU SEE AND HEAR IN THIS COURTROOM ONLY. SO IT’S VERY IMPORTANT THAT WE CONTINUE TO SELF-POLICE AS YOU HAVE BEEN DOING. A COUPLE ANNOUNCEMENTS. ONE OF YOU HAS REQUESTED THAT WE ADJOURN EARLY TODAY FOR PERSONAL REASONS. AND SO WHAT WE’RE GOING TO BE DOING IS TAKING ONLY A ONE-HOUR LUNCH BREAK TODAY. SO WE WILL BE ON LUNCH TODAY FROM 12:00 TO 1:00, AND WE WILL BE LEAVING AT 4:00. I WANT TO GIVE YOU A HEADS UP. THIS MAY OR MAY NOT COME TO PASS, BUT IT IS ENTIRELY POSSIBLE THAT WE MAY NEED TO USE FRIDAY, JULY 12TH, AS A COURT DATE. I’M JUST GIVING YOU A HEADS UP RIGHT NOW. AS SOON AS I KNOW MORE ABOUT THAT, I WILL LET YOU KNOW. BECAUSE OBVIOUSLY I’VE BEEN TELLING YOU ALL ALONG FRIDAYS ARE OFF. BUT THERE’S A VERY GOOD POSSIBILITY THAT WE MAY NEED THAT DAY. SO I’LL KEEP YOU POSTED AS WE GO THROUGH THE PROCESS. MR. DUSEK: RECALL JIM FRAZEE. JUROR NUMBER 18: IT’S HOT, JUDGE. THE COURT: OKAY. WE WILL GET MAINTENANCE ON IT AS QUICKLY AS WE CAN. ALL RIGHT. YOU’RE STILL UNDER OATH, MR. FRAZEE. Q.: MR. FRAZEE, I THINK WHEN YOU WERE HERE LAST WEEK YOU WERE ASKED QUESTIONS BY THE DEFENSE REGARDING AN E-MAIL THAT YOU HAD SENT SOMEONE. DO YOU RECALL THAT? Q.: WERE YOU ASKED TO GET THAT E-MAIL? Q.: DID YOU GET IT? Q.: WHAT DOES THE E-MAIL INDICATE? WHO DID YOU SEND IT TO? MR. DUSEK: YOUR HONOR, I HAVE HAD MARKED AS COURT’S EXHIBIT 153 THIS ONE-PAGE DOCUMENT. IT LOOKS LIKE AN E-MAIL. Q.: DO YOU RECOGNIZE THAT, MR. FRAZEE? A.: IT’S THE E-MAIL I SENT TO CIELO’S BREEDER. Q.: ARE THE NAMES OF THE PEOPLE YOU SENT IT TO AT THE TOP OF THE E-MAIL? Q.: WHERE ARE THEY LOCATED? A.: NEW MEXICO AND JAMUL. Q.: DOES THE E-MAIL INDICATE WHEN YOU SENT IT? Q.: WHEN DID YOU SEND IT? Q.: AND DID YOU INDICATE IN THE FIRST PARAGRAPH SOME CONSEQUENCES THAT MIGHT BEFALL YOU BY SENDING THAT E-MAIL? A.: I SAID I WOULD PROBABLY GET IN TROUBLE. Q.: WOULD YOU READ THE FIRST PARAGRAPH FOR US. Q.: WHY WERE YOU GOING TO GET IN TROUBLE BY WRITING ABOUT CIELO? A.: BECAUSE WE’RE NOT SUPPOSED TO DISCUSS WHAT HAPPENS ON SEARCHES. Q.: AND THERE ARE SEVERAL PARAGRAPHS IN THIS E-MAIL. IS THAT CORRECT? Q.: DID YOU ALSO INDICATE IN THAT E-MAIL WHAT CIELO DID WHEN HE WAS GOING AROUND THE MOTOR HOME? Q.: AND DID YOU INDICATE AT THAT — HE REACTED AS YOU TESTIFIED HERE IN COURT? Q.: DID YOU WRITE ANY REPORTS REGARDING THE INCIDENT? Q.: HOW LONG A REPORT? A.: IT WAS VERY LIMITED BECAUSE IN KEEPING WITH THE FACT THAT WE’RE NOT SUPPOSED TO DISCUSS THE CASE, ALL I REPORTED WAS WHAT I WAS ASKED TO DO AND MY MILES AND HOURS. Q.: AND DID YOU PROVIDE US WITH A COPY OF THAT REPORT? Q.: DID I SHOW YOU A COPY OF THAT REPORT? MR. DUSEK: I HAVE HAD MARKED, YOUR HONOR, AS COURT’S EXHIBIT 154 WHAT LOOKS LIKE A ONE-PAGE INCIDENT REPORT. A.: THIS IS A REPORT I FILED DESCRIBING WHAT I WAS ASKED TO DO. AND IT INCLUDED MY MILES AND HOURS FOR THAT PARTICULAR ASSIGNMENT. Q.: IN THAT REPORT DO YOU INDICATE ANYTHING REGARDING CONFIDENTIALITY? A.: OH. I WAS ASKED TO FILE A DETAILED REPORT, AND I STATED THAT I HAD BEEN ASKED PRIOR TO THAT NOT TO DISCUSS THE CASE. Q.: AND THEN YOU INDICATED YOUR MILEAGE AND TIME INVOLVED IN THIS CASE WITHOUT THE RESULTS. Q.: WHAT GAVE YOU THE IMPRESSION THAT YOUR RESULTS WERE TO REMAIN CONFIDENTIAL? A.: BASICALLY TRAINING THAT WE’VE HAD. Q.: DESCRIBE THAT FOR ME. WHAT DO YOU MEAN? A.: WE’VE — PERIODICALLY WE HAVE TRAINING ON HOW TO PRESERVE A CRIME SCENE. AND I BELIEVE THAT WAS DISCUSSED. Q.: AND YOU WERE OPERATING UNDER THAT TRAINING WHEN YOU DID NOT WRITE A REPORT IMMEDIATELY AND WHEN YOU SENT THE E-MAIL? Q.: THE REPORT THAT YOU HAVE THERE IN FRONT OF YOU WAS WRITTEN WHEN? Q.: HOW DID IT — HOW DID THE WORD GET TO YOU THAT YOU WERE SUPPOSED TO WRITE A REPORT? A.: THAT CAME THROUGH OUR UNIT LIEUTENANT. Q.: LET ME SEE IF I UNDERSTAND, MR. FRAZEE. 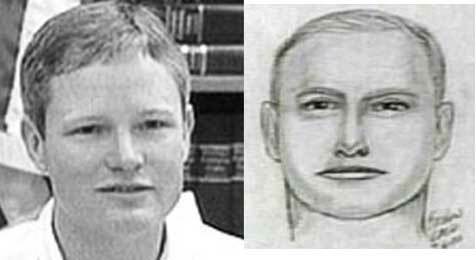 YOU WERE ASKED ON FEBRUARY 6TH, 2002, TO HELP FIND DANIELLE VAN DAM, IS THAT CORRECT? Q.: A MISSING SEVEN-YEAR-OLD GIRL. Q.: AND YOU WERE AWARE OF THE INTENSIVE SEARCH BY LAW ENFORCEMENT FOR THAT GIRL, WEREN’T YOU? Q.: YOU WERE AWARE THAT ALL THE MAJOR NETWORKS AND TWENTY-FOUR-HOUR NEWS CHANNELS WERE COVERING HER DISAPPEARANCE, WEREN’T YOU? Q.: AND YOU WERE AWARE YOU COULD LOOK ON WEB SITES TO FOLLOW THIS SEARCH, WEREN’T YOU? Q.: AND IN FACT YOU HAD WORKED ON LOOKING FOR THAT GIRL SEVEN DIFFERENT DAYS, HADN’T YOU? Q.: YOU HAD BEEN TO THE SABRE SPRINGS AREA, HADN’T YOU? Q.: YOU SAW THE POLICE CARS EVERYWHERE, HADN’T YOU? Q.: YOU WERE AWARE OF THE MEDIA TRUCKS AND MEDIA COVERAGE IN THE SABRE SPRINGS AREA. Q.: YOU WERE AWARE OF HELICOPTERS OVERHEAD. A.: NO, I WAS NOT. Q.: WELL, YOU WERE AWARE OF AN INTENSIVE SEARCH, THOUGH, RIGHT? Q.: AND THEN ON FEBRUARY 6TH YOU WENT TO THE — YOU WERE ASKED TO GO TO THE SAN DIEGO POLICE DEPARTMENT IMPOUND FACILITY, ISN’T THAT RIGHT? Q.: YOU WERE ASKED TO GO WITH YOUR DOGS. Q.: AND YOU WERE ASKED TO SCENT AROUND THE MOTOR HOME AT THE REQUEST OF THE SAN DIEGO POLICE DEPARTMENT. Q.: AND YOU HAVE TOLD US THAT YOUR DOG ALERTED BY SITTING AND BARKING ONE TIME AT YOU. IS THAT RIGHT? Q.: AND SNIFFING A SHOVEL IN ONE OF THE COMPARTMENTS, CORRECT? Q.: AND ON FEBRUARY 6 YOU DIDN’T TELL ANYONE AT THE IMPOUND YARD THAT YOUR DOG HAD ALERTED, HAD YOU? A.: I DON’T RECALL WHAT I TOLD THEM. HOWEVER, I’M HERE, SO THEY MUST HAVE KNOWN. Q.: AT THIS POINT IN TIME YOU DON’T RECALL EVER TELLING A POLICE OFFICER ON FEBRUARY 6TH THAT YOUR DOG ALERTED, DID YOU? A.: I DON’T RECALL WHAT I TOLD THEM. Q.: CAN I FINISH MY QUESTION? Q.: HAVE YOU BEEN SHOWN A POLICE REPORT THAT STATES THAT YOU TOLD ANYONE ON FEBRUARY 6TH THAT YOUR DOG ALERTED? Q.: DOES THAT REFRESH YOUR RECOLLECTION WHETHER YOU TOLD A POLICE OFFICER ON FEBRUARY 6TH THAT YOUR DOG ALERTED? Q.: THE FACT THAT YOU WERE SHOWN NO POLICE REPORT. Q.: YOUR RECOLLECTION IS THAT YOU DO NOT RECALL AT THIS POINT TELLING ANY POLICE OFFICER THAT YOUR DOG ALERTED. A.: THAT’S CORRECT. I MAY HAVE. I DON’T RECALL. Q.: AND YOU’VE TOLD US BEFORE THAT YOU DON’T RECALL TELLING A DETECTIVE, DETECTIVE TOMSOVIC, TO BE PRECISE, THAT YOUR DOG DID NOT ALERT. A.: NO, I DON’T RECALL THAT. Q.: ON FEBRUARY 7TH, THE DAY AFTER, DID YOU TELL ANY POLICE OFFICERS THAT YOUR DOG ALERTED? Q.: — AT THE MOTOR HOME? ON FEBRUARY 9TH DID YOU TELL ANY POLICE OFFICERS? Q.: ANY TIME BEFORE FEBRUARY 22ND DID YOU TELL ANY POLICE OFFICERS? A.: I HAVE NOT TOLD ANY POLICE OFFICERS TO THIS DATE. Q.: YOU DIDN’T TELL ANYONE UNTIL FEBRUARY 22ND THAT YOUR DOG ALERTED, DID YOU? Q.: YOU DIDN’T TELL ANYONE UNTIL YOU LEARNED THAT THERE WAS BLOOD IN THE MOTOR HOME, DID YOU? THIS WAS AFTER YOU HAD LEARNED BLOOD WAS IN THE MOTOR HOME. Q.: THIS WAS AFTER YOU LEARNED THAT MR. WESTERFIELD HAD BEEN ARRESTED, CORRECT? Q.: AND AT THAT TIME YOU SENT AN E-MAIL TO THREE FRIENDS OF YOURS, IS THAT RIGHT? Q.: AND YOU SENT THIS E-MAIL TO A MARIA ZUCCONI, IS THAT CORRECT? Q.: AND A SUSANNE GLASGOW. A.: AS HE DID IT, THAT IS CORRECT. AND I ALSO ADDED THAT THE REASON THAT I WENT AROUND THE REST OF THE MOTOR HOME WAS TO CONFIRM IT. MR. BOYCE: YOUR HONOR, NO QUESTION PENDING. A.: THAT WAS PART OF THE STATEMENT THAT I MADE, YES. Q.: THE ANSWER IS YES, YOU MADE THAT STATEMENT, IS THAT CORRECT? Q.: AND THEN YOU STATED IN THE VERY NEXT SENTENCE WAS “I THOUGHT HE MIGHT HAVE BEEN DOING THESE BEHAVIORS JUST TO PLEASE ME.” IS THAT CORRECT? Q.: “SO I TOOK HIM AROUND THE REST OF THE MOTOR HOME BUT GOT NO FURTHER ALERTS.” IS THAT CORRECT? Q.: AND YOU RECALL YOU EARLIER TOLD US THAT YOU KNOW WHAT HANDLER BIAS IS, RIGHT? Q.: AND YOU ALSO UNDERSTAND THAT THE HANDLER’S EMOTIONS CAN AFFECT THE DOG, CORRECT? A.: I UNDERSTAND THAT IT CAN, CORRECT. Q.: AND THEN YOU STATED IN THE E-MAIL THAT “IT WAS CHILLING. SITTING THERE IN PLAIN SIGHT WAS A SMALL SHOVEL,” CORRECT? MR. DUSEK: OBJECTION. MISSTATES THE E-MAIL. THE COURT: I DON’T HAVE IT, SO LET’S HAVE DIRECT QUOTES. MR. DUSEK: OR DIRECT SENTENCES. Q.: YOU USED THE WORD DETECTIVE, RIGHT? Q.: “– TO OPEN THE COMPARTMENT CIELO HAD ALERTED ON. AND WHEN HE DID, IT WAS QUITE CHILLING.” CORRECT? Q.: AND THAT’S BECAUSE YOU SAW SITTING IN PLAIN SIGHT A SMALL SHOVEL, RIGHT? A.: I THOUGHT THAT THE SHOVEL MAY HAVE BEEN USED TO BURY A BODY. AND THEN YOU SAID “CIELO SNIFFED THE SHOVEL,” CORRECT? Q.: AND THE REASON YOU HAD THE DETECTIVE OPEN THE COMPARTMENT IS THE COMPARTMENT WAS LOCKED, CORRECT? IS THAT RIGHT? A.: IT WOULDN’T HAVE MATTERED WHETHER IT WAS LOCKED OR NOT, I WOULD HAVE ASKED HIM IF IT WAS OKAY TO OPEN IT. Q.: SO YOU ASKED THE SAN DIEGO POLICE DETECTIVE THAT WAS THERE TO OPEN IT. Q.: AND AFTER SNIFFING THE SHOVEL AND THIS CHAISE LOUNGE THAT WAS ON A SHELF ABOVE THE SHOVEL, CIELO DID NOT ALERT AGAIN, DID HE? Q.: AND THEN YOU TOLD THESE THREE PEOPLE THAT YOU SENT THE E-MAIL TO “I DIDN’T KNOW WHAT TO MAKE OF WHAT CIELO DID.” DIDN’T YOU MAKE THAT STATEMENT? Q.: DID YOU MAKE THAT STATEMENT? A.: COULD YOU TELL ME WHERE I SAID THAT? A.: YES. I SEE IT. “I DIDN’T KNOW WHAT TO MAKE OF WHAT CIELO DID.” YOU SEE THAT STATEMENT, DON’T YOU? MR. DUSEK: PERHAPS COUNSEL COULD BACK AWAY A LITTLE, YOUR HONOR. THE WITNESS: I SAID THAT. Q.: AND THEN YOU SENT THIS E-MAIL, RIGHT? A.: I SENT THIS E-MAIL, YES. Q.: AND YOU THOUGHT IT WAS PRETTY COOL. A.: THE E-MAIL I THOUGHT WHAT CIELO DID WAS COOL. Q.: YOU’VE TOLD US THAT YOU DID A REPORT ON FEBRUARY 19TH, IS THAT RIGHT? Q.: WHEN WERE YOU SHOWN THIS REPORT? Q.: AND WHERE IN THIS REPORT DOES IT SAY THAT YOU WERE ASKED TO FILE A DETAILED REPORT? Q.: IT DOESN’T SAY THAT, DOES IT? THIS REPORT, YOU WROTE THIS ON 2/19. Q.: IT STATES THAT YOU ARRIVED AT THE SAN DIEGO POLICE DEPARTMENT’S IMPOUND FACILITY AT 7:09 AND WAS LATER ASKED TO SCENT MY TRAILING DOG. IS THAT CORRECT? Q.: IS CIELO YOUR TRAILING DOG? Q.: IN THE NEXT PARAGRAPH YOU STATE “I WAS ALSO ASKED TO KEEP THE RESULTS OF ANY SEARCHING I DID AT THE REQUEST OF THE SAN DIEGO POLICE DEPARTMENT CONFIDENTIAL.” DO YOU SEE THAT? A.: I SAID THAT, YES. Q.: “OTHER THAN MY HOURS, THREE, MY ROUND-TRIP MILES, SIXTY-FOUR, AND MY ESTIMATE OF THE TIME MY DOG SPENT ACTUALLY WORKING ON THE SCENE, THIRTY MINUTES.” CORRECT? A.: THAT’S WHAT IT SAYS. Q.: YOU SAY MY DOG IN THE SINGULAR, CORRECT? Q.: AND IN THE OTHER EARLIER PARAGRAPH YOU WERE REFERRING TO YOUR TRAILING DOG HOPI, CORRECT? Q.: WHERE DOES IT SAY ANYTHING ABOUT CIELO IN THIS REPORT? Q.: WHAT ELSE DID MR. DUSEK SHOW YOU BETWEEN THE TIME YOU FINISHED TESTIFYING LAST THURSDAY AND TODAY? A.: MY E-MAIL. THIS REPORT. AND A SECOND REPORT. THAT WAS SIMILAR TO THIS ONE. Q.: AND THAT CONCERNED OTHER ACTIVITIES THAT YOU HAD ENGAGED IN, IS THAT CORRECT? A.: IT WAS FOR ANOTHER DATE. I DON’T RECALL WHAT IT CONCERNED. Q.: WHEN DID MR. DUSEK CONTACT YOU AFTER YOUR TESTIMONY ON THURSDAY? A.: BILL REICH LEFT A MESSAGE WITH MY WIFE. I DON’T REMEMBER WHEN IT WAS. Q.: AND YOUR WIFE IS JAN, RIGHT? Q.: NOW, JAN IS THE PRESIDENT OF THE LOCAL CHAPTER OF CARDA, ISN’T SHE? A.: SHE’S THE PRESIDENT OF CARDA. Q.: SHE IS THE PRESIDENT OF CARDA? Q.: THAT’S YOUR ORGANIZATION, CORRECT? Q.: THIS IS A CIVILIAN ORGANIZATION, CORRECT? Q.: AND SO YOUR WIFE ESSENTIALLY CERTIFIED CIELO AS A TRACKING DOG OR AN AREA SEARCH DOG, IS THAT CORRECT? A.: THAT’S A BIT OF A STRETCH. Q.: WELL, SHE’S THE PRESIDENT OF CARDA, CORRECT? Q.: YOU HAVE A NICKNAME ONE-EIGHTY FRANK, DON’T YOU? A.: NO. NEVER HEARD THAT. THE COURT: JUST A MINUTE. I WILL HEAR THE QUESTION. Q.: ONE-EIGHTY FRANK MEANS WHEN YOU AND YOUR DOGS GO IN ONE DIRECTION, EVERYBODY’S TO SEARCH IN THE OTHER DIRECTION, DOESN’T IT? A.: I’VE NEVER HEARD THAT TERM. MR. BOYCE: YOUR HONOR, I HAVE ONE MORE AREA I WOULD LIKE TO APPROACH SIDEBAR ON. THE COURT: MIGHT BE MY IMAGINATION, LADIES AND GENTLEMEN, BUT I THINK I FEEL SOME COOL AIR COMING IN. ALL OF A SUDDEN THEY TURNED IT ON. Q.: MR. FRAZEE, YOUR DOGS ACTUALLY WENT TO THAT MOTOR HOME ON ONE EARLIER OCCASION, DIDN’T THEY? Q.: AND THIS WAS ON FEBRUARY 4TH, CORRECT? A.: I DON’T REMEMBER THE DAY, BUT I KNOW THAT THEY DID. Q.: THIS WAS WHERE THE MOTOR HOME WAS STORED, IS THAT CORRECT? Q.: THIS WAS AN AREA CALLED HIGH VALLEY. Q.: AND YOU RAN THE DOGS AROUND THE MOTOR HOME, AND THEY DID NOT DETECT ANY SCENT, ISN’T THAT CORRECT? Q.: WHICH DOGS DID YOU HAVE ON THE 4TH? Q.: WHAT DOG DID YOU RUN FIRST? Q.: DESCRIBE WHAT HE DID. A.: HE MOVED AROUND THE OUTSIDE OF THE MOTOR HOME. Q.: DID YOU SEE ANY REACTION OF HIM AT ANY LOCATION GOING AROUND THE MOTOR HOME? Q.: CIELO, DID YOU RUN THAT DOG AROUND THE MOTOR HOME ALSO? Q.: DID YOU SEE ANY REACTION FROM CIELO AT ANY PARTICULAR LOCATION AROUND THE MOTOR HOME? A.: HE WAS A LITTLE MORE INTERESTED IN AREAS LIKE THE MUD FLAPS AND THE TIRES. Q.: DESCRIBE WHAT YOU SAW. A.: WELL, HE WOULD JUST SNIFF THEM FOR LONGER PERIODS OF TIME THAN OTHER AREAS. HOW MANY TIMES DID YOU RUN HIM AROUND THE MOTOR HOME AT THAT TIME? THEN ONTO THE 6TH IS WHEN YOU WENT TO THE MOTOR HOME WHEN IT WAS AT IMPOUND, IS THAT CORRECT? Q.: MR. BOYCE WAS CITING SOME SENTENCES IN YOUR E-MAIL, WASN’T HE? Q.: DID HE CITE THEM ALL? A.: I WASN’T KEEPING TRACK. Q.: LET ME TAKE YOU DOWN TO THE START OF THE FOURTH PARAGRAPH. DO YOU HAVE IT THERE IN FRONT OF YOU? Q.: WHAT DID YOU WRITE IN THAT FOURTH PARAGRAPH? READ IT SLOWLY SO THE REPORTER CAN GET IT. MR. FELDMAN: SORRY, YOUR HONOR. VAGUE. THERE’S NO SHOWING THAT IT’S RELEVANT. THE COURT: OVERRULED. THIS WHOLE REPORT IS OPENED UP. YOU MAY ANSWER THE QUESTION, SIR. THE WITNESS: ARE YOU REFERRING TO THE PARAGRAPH THAT BEGINS WITH “I CAN’T SAY”? Q.: WHAT DID YOU WRITE IN THE NEXT PARAGRAPH? Q.: WHY WEREN’T YOU SURE AT THAT TIME, MR. FRAZEE? THE WITNESS: ONE OF THE PROBLEMS WITH SOME DOGS IS THAT THEY WILL DO WHAT WE CALL FALSE ALERT. AND THEY WILL GIVE THEIR ALERTS WITHOUT DETECTING WHATEVER SCENT IS WE’RE ASKING THEM TO LOOK FOR. Q.: SO WHAT DO YOU DO TO DETERMINE IF IT’S A FALSE ALERT? A.: HAVE THEM LOOK SOME MORE AND SEE IF THEY DO IT AGAIN. Q.: BASICALLY YOU WEREN’T TRUSTING YOUR DOG AT THAT POINT, WEREN’T YOU? Q.: WHAT DID YOU SAY IN THE NEXT PARAGRAPH? A.: DO YOU WANT ME TO READ THE WHOLE PARAGRAPH? MR. BOYCE: OBJECTION. THE REST OF THIS IS SPECULATION ON HIS PART, YOUR HONOR. THE COURT: I WILL SEE ALL OF YOU AT SIDEBAR. Q.: SIR, WOULD YOU CONTINUE WITH THAT PARAGRAPH. A.: I’M NOT SURE WHERE I LEFT OFF. COULD I HAVE THAT READ BACK TO ME? THE COURT: ALL RIGHT. THE ATTORNEY WILL DIRECT YOU, MR. FRAZEE. THE WITNESS: OKAY. Q.: CAN YOU READ THE NEXT PARAGRAPH DOWN THROUGH THE SENTENCE ENDING WITH CIELO’S ALERT. DID YOU THEN GO ON TO SAY HOW PROUD YOU WERE OF THE DOG? MR. BOYCE: BRIEFLY, YOUR HONOR. Q.: THIS E-MAIL WAS WRITTEN FEBRUARY 22ND, WASN’T IT? Q.: AND YOUR COMMENTS IN THE E-MAIL REGARDING THAT THE SUSPECT COULD HAVE MADE — MOVED THINGS AROUND IS BASED ON SPECULATION, ISN’T IT? A.: YES. THAT THAT WAS A POSSIBILITY. Q.: AND THAT SCENT WAS ESCAPING FROM INSIDE THE MOTOR HOME, THAT ALSO WAS A GUESS, WASN’T IT? A.: I HAVE MORE REASON TO BELIEVE THAT THAT WAS WHAT HAPPENED THAN I DO THAT THE SHOVEL WAS USED. Q.: BUT YOU DON’T KNOW, DO YOU? A.: I KNOW — I’M REASONABLY CERTAIN THAT THAT WAS WHAT HAPPENED. Q.: BUT AGAIN YOU DON’T KNOW. THE WITNESS: THERE’S A POSSIBILITY. THE WITNESS: THERE’S A POSSIBILITY THAT THAT DID NOT HAPPEN. Q.: AGAIN, SIR, YOU ARE GUESSING, AREN’T YOU? MR. DUSEK: OBJECTION. ARGUMENTATIVE. ASKED AND ANSWERED. THE COURT: REPHRASE IT, AND I WILL ALLOW IT. Q.: THESE OBSERVATIONS THAT YOU MADE CAME AFTER YOU LEARNED OF MR. WESTERFIELD’S ARREST, CORRECT, IN THIS E-MAIL? A.: THE OBSERVATIONS HAPPENED AT THE TIME. MY INTERPRETATION OF THEM WAS — I WAS MORE CONFIDENT IN IT HAVING HEARD OF THE ARREST. Q.: SIR, THE QUESTION IS: DID YOU WRITE THIS E-MAIL AFTER MR. WESTERFIELD’S ARREST? Q.: AND AFTER YOU LEARNED THAT THEY HAD FOUND APPROXIMATELY A QUARTER-INCH OF A BLOODSTAIN OR LESS IN THE MOTOR HOME, CORRECT? A.: I DID NOT HEAR HOW MUCH BLOOD WAS FOUND. BUT AFTER YOU LEARNED THAT BLOOD WAS FOUND IN THE MOTOR HOME, IS THAT CORRECT? Q.: AND THAT WAS WHEN YOU WROTE THIS E-MAIL, CORRECT? MR. FRAZEE, YOU ARE STILL SUBJECT TO RECALL, AND YOU’RE UNDER THE ADMONITION NOT TO DISCUSS YOUR TESTIMONY. IF YOU WOULD KINDLY HAND THOSE TWO EXHIBITS TO MR. DUSEK ON YOUR WAY BY, HE WILL TAKE CUSTODY OF THEM. THE COURT: YOU HAVE A WHAT? THE WITNESS: I HAVE A POSSIBILITY OF GETTING A JOB SOON. THE COURT: YOU CAN TALK TO MR. DUSEK ABOUT ALL OF THE CONTINGENCIES OF ABOUT MAYBE HAVING TO COME BACK. Q.: GOOD MORNING, MISS REDDITT. A.: GROSSMONT UNION HIGH SCHOOL DISTRICT. I WAS A HIGH SCHOOL TEACHER. Q.: HOW LONG AGO DID YOU RETIRE? A.: I RETIRED IN ’89. THIRTEEN YEARS. Q.: DO YOU HAVE ANYTHING THAT KEEPS YOU BUSY NOW? Q.: WHAT TYPE OF WORK DO YOU DO NOW? A.: I AM A VOLUNTEER RESERVE LIEUTENANT WITH THE SHERIFF’S SEARCH AND RESCUE BUREAU, RESERVE LIEUTENANT OF THE CANINE UNIT. Q.: HOW LONG HAVE YOU BEEN WITH THE SHERIFF’S RESERVE? A.: I’VE BEEN WITH THE SHERIFF’S RESERVE JUST OVER TWENTY-FOUR YEARS. Q.: HOW OFTEN DO YOU HAVE TO GO WORK WITH THEM? WHAT’S THE FREQUENCY? A.: WELL, THE FREQUENCY IS VARIABLE. WE OBVIOUSLY ARE LOOKING FOR MISSING — MISSING PEOPLE. CHILDREN, HIKERS, ALZHEIMER’S. WE MIGHT HAVE TWO CALLOUTS A MONTH; WE MIGHT HAVE FOUR; WE MIGHT GO TWO MONTHS WITH NO CALLOUT. Q.: HAVE YOU BEEN WITH THE SEARCH AND RESCUE THE ENTIRE TIME YOU’VE BEEN WITH SHERIFF’S RESERVE? Q.: AND YOU HAVE A RANK WITH THE SHERIFF’S RESERVE NOW. A.: YES. I’M A RESERVE LIEUTENANT. Q.: HOW LONG HAVE YOU BEEN A LIEUTENANT? A.: SINCE ALMOST FOUR YEARS. Q.: IN YOUR DUTIES WITH THE SHERIFF’S DEPARTMENT, DO YOU KNOW A JIM FRAZEE? Q.: WAS HE THE FELLOW WHO JUST LEFT? A.: JIM IS ONE OF OUR DOG HANDLERS. Q.: IS HE INVOLVED WITH SEARCH AND RESCUE? A.: JIM IS INVOLVED WITH SEARCH AND RESCUE, YES. HE’S WHAT WE CALL A RESCUE VOLUNTEER. Q.: ARE YOU ALSO INVOLVED WITH DOGS? A.: I — WELL, I’M THE RESERVE LIEUTENANT OF THE CANINE UNIT. BUT I ALSO HAVE A SEARCH AND RESCUE DOG. THIS IS MY SECOND DOG. I WOULD LIKE TO DIRECT YOUR ATTENTION BACK TO FEBRUARY 6TH OF THIS YEAR. WERE YOU ASKED TO ACT AS A SHERIFF’S RESERVE LIEUTENANT ON THAT DAY? A.: WELL, I — WE HAD THE REQUEST FOR A DOG TEAM TO RESPOND. AND I WENT AS AN OBSERVER, SUPPORT. Q.: DESCRIBE WHO WAS ON THE DOG TEAM. A.: I BEG YOUR PARDON? Q.: WHO WAS ON THE DOG TEAM? A.: THE HANDLER WAS JIM FRAZEE. AND HE HAD HIS SCENT-SPECIFIC DOG HOPI. AND HE HAD HIS AREA SEARCH DOG CIELO. Q.: DO YOU RECALL WHERE YOU WENT? A.: YES. WE WENT TO THE IMPOUND YARD ON AERO DRIVE. Q.: AND WHAT WAS HE ASKED TO DO? A.: THE ACT WAS FOR THE HANDLER TO UTILIZE HIS DOG IN CHECKING THE MOTOR HOME THAT WAS PARKED AT THE IMPOUND YARD. Q.: DID YOU TAKE YOUR DOGS? A.: BECAUSE THEY HAD REQUESTED A SCENT-SPECIFIC DOG. Q.: DID YOU WATCH WHAT MR. FRAZEE DID WITH HIS DOGS? A.: I WATCHED HIS PREPARING THE DOG. A.: BUT I COULD NOT SEE THE DOG WORK IN THE MOTOR HOME. Q.: ONE DOG WENT INTO THE MOTOR HOME? Q.: AND YOU DIDN’T SEE WHAT HAPPENED IN THERE? Q.: I’M CONCERNED WITH CIELO, THE DOG THAT WAS WORKING OUTSIDE. Q.: DID YOU SEE WHAT THAT DOG WAS DOING OUTSIDE? Q.: HOW CLOSE DO YOU GET TO THAT DOG WHEN IT’S WORKING? A.: PROBABLY I WAS STAYING FIFTEEN FEET, AT LEAST FIFTEEN FEET BACK, NOT TO INTERFERE WITH THE DOG. Q.: WHY THAT FAR BACK? A.: I DON’T CONSIDER IT FAR. IN SOME PLACES WHERE I’M, YOU KNOW, MAYBE, DISTANCES IN THE FIELD, BUT IN THE AREA WHERE WE WERE, THAT GAVE THE DOG OPPORTUNITY TO MOVE WHERE IT WAS GOING TO MOVE WITHOUT MY BEING IN THE WAY. Q.: CAN YOU DESCRIBE WHAT THE DOG DID ONCE IT STARTED TO WORK? CIELO I’M TALKING ABOUT. A.: YES. STARTED ON THE PASSENGER SIDE, MOVED DOWN THE SIDE. AND AS IT WENT PAST THE DOOR TO THE MOTOR HOME, JUST PAST THE DOOR THERE IS AN I CALL IT LIKE A STORAGE BIN, LOW, WITH THE EXTERIOR DOOR TO IT, WALKED BY, AND HE GOT LIKE JUST WALKING BY IT, AND HE TURNED AROUND REAL FAST AND LOOKED. AND WE HAVE WHAT WE CALL A TRAINED ALERT. EACH HANDLER MAY — SOME HAVE SIMILAR TRAINED ALERTS. JIM’S FOR CIELO THE DOG SITS AND BARKS. Q.: WHAT DID YOU SEE CIELO DO? A.: LOOKED BACK AND IN FACT GAVE A — ALWAYS LOOKS AT JIM LIKE, YOU KNOW, MASTER. Q.: SO IT SAT AND LOOKED AT JIM? Q.: IS THAT A YES? YOU HAVE TO ANSWER WITH WORDS. A.: YES. YES. ONE WORD. A.: THEN WENT ON AROUND THE MOTOR HOME, CONTINUED ON. THE DOG ALWAYS PRECEDES THE HANDLER. AND CAME BACK AROUND, AND THEN THEY OPENED THE STORAGE AREA. Q.: IS THAT WHERE THE DOG HAD ALERTED? A.: THAT’S WHERE THE DOG HAD ALERTED. Q.: WHAT DID YOU SEE CIELO DO AT THAT POINT? THE COURT: JUST DESCRIBE WHAT YOU SAW. THE WITNESS: WHAT DID HE DO? MR. FELDMAN: I’M SORRY. MOTION TO STRIKE, PLEASE. THE COURT: AS TO THE DESCRIPTION. SHE’S GOING TO BE PERMITTED TO TELL YOU WHAT THE DOG DID, NOT HER IMPRESSIONS OF WHAT IT MEANT. THE WITNESS: RIGHT. RIGHT. I WON’T GIVE ANY IMPRESSIONS. NO. THE DOG SNIFFED AND WENT — MAY I PROCEED, THEN? IT WENT TO THE OPEN DOOR AND WENT IN, PAWS IN, AND SNIFFED. Q.: WHAT HAPPENED AT THAT POINT, MA’AM? Q.: THE DOG WAS DONE? A.: THE DOG WAS DONE. Q.: WAS THERE ANY CONCERN REGARDING CONFIDENTIALITY OF WHAT WAS GOING ON THAT DAY WITH YOU AND MR. FRAZEE AND HIS DOGS? A.: WELL, WE KNOW THAT WE DON’T EVER DISCUSS WHAT’S BEING — OUT IN THE PUBLIC OR THE FRIENDS OR OTHER TEAM MEMBERS, JUST, YOU KNOW, WHAT HAD GONE ON. IN FACT, I DID NOT DISCUSS THAT DAY EVEN WITH JIM FRAZEE AFTER, AFTERWARDS. Q.: DO YOU KNOW IF HE DISCUSSED IT WITH ANYONE THAT DAY? A.: HE — I LEFT TO GO TO THE CAR TO GET SOME CARDS, THINGS OUT OF THE CAR, AND I WOULD — I CANNOT SAY WHAT JIM DID. DID THERE COME A POINT IN TIME WHERE YOU HAD SOME COMMUNICATIONS WITH HIM REGARDING A REPORT OR WRITING A REPORT? Q.: DESCRIBE THAT FOR US. A.: OUR SARD COORDINATOR KEEPS ALL THE SITUATION BUREAU RECORDS, AND ON NORMAL SEARCHES WE TURN IN REPORTS ON SCENE BEFORE WE LEAVE. THIS PARTICULAR ONE, BECAUSE WE ARE TOLD, YOU KNOW, CONFIDENTIALITY, SHE ASKED FOR A REPORT. AND I PASSED THE WORD ON TO JIM. AND JIM FAXED HER A REPORT, WHAT HE CALLED, HE SAID CONFIDENTIALITY WAS NOT TO TALK ABOUT THE CASE. AND HE GAVE HIS MILES AND HOURS WHICH IS OUR STANDARD PROCEDURE ALWAYS. Q.: DID YOU GET A CHANCE TO SEE THE REPORT THAT HE SUBMITTED? A.: YES. I DID GET A COPY OF IT. Q.: LET ME SHOW YOU WHAT’S BEEN MARKED AS 154. DOES THAT APPEAR TO BE THE REPORT THAT HE SUBMITTED? A.: YES. THIS IS, M-HM, MILES AND HOURS. DO YOU RECALL ABOUT WHEN IT WAS IN RELATION TO THE SEARCH AND THE DATE OF THE REPORT WHEN YOU ASKED HIM TO WRITE THE REPORT? A.: IT WAS EITHER THAT DAY OR THE DAY BEFORE. Q.: THAT DAY MEANING THE DAY OF THE SEARCH OR THE DAY OF THE REPORT? A.: I’M SORRY. WHATEVER THE DATE IS ON THE REPORT. THERE APPEARS TO BE A DATE AT THE VERY TOP. A.: OKAY. IT SHOWS THE FAX. OH, YEAH. HE WROTE IT ON THE. . .
Q.: DOES THAT LOOK LIKE FEBRUARY 19TH? A.: YES. IT’S KIND OF SMUDGED. YES. Q.: AND IT WAS JUST A DAY OR TWO BEFORE THAT THAT YOU HAD ASKED HIM TO WRITE THE REPORT. A.: CORRECT. IT WAS EITHER — LIKE I SAID, HE RESPONDED IN A TIMELY FASHION. Q.: DID YOU PREPARE A REPORT OF YOUR OBSERVATIONS? A.: NO. I DID OTHER THAN THE NAME OF THE DOG TEAMS THAT WENT, WHERE WE WERE TO GO, AND THE — MY MILES AND HOURS. Q.: SO, IN OTHER WORDS, BILLING INFORMATION. Q.: KIND OF LIKE BILLING INFORMATION. Q.: OTHER THAN BILLING INFORMATION, MA’AM, DID YOU PREPARE A REPORT? A.: NO. LIKE I SAID, THE — YOU KNOW, PEOPLE PRESENT, MYSELF. Q.: SO THERE IS NOTHING YOU DID CONTEMPORANEOUSLY TO RECORD AS THE EVENTS WERE OCCURRING, CORRECT? Q.: WHEN YOU SAY NO, DO YOU MEAN TO AGREE WITH ME? A.: I’M SORRY. I AGREE WITH YOU. I DID NOT KEEP RECORDS. AND THEN THE FIRST TIME ANYBODY TALKED TO YOU ABOUT THIS CASE, WAS THAT ON OR ABOUT JUNE THE 28TH? Q.: THAT WOULD HAVE BEEN LAST FRIDAY. Q.: ARE YOU TELLING ME, MA’AM, I’M SORRY, THAT BETWEEN WE’LL SAY THE 6TH OF FEBRUARY AND THE 28TH OF JUNE, OTHER THAN THAT SINGLE E-MAIL ON THE 19TH FROM MR. FRAZEE, NOBODY FROM LAW ENFORCEMENT COMMUNICATED WITH YOU CONCERNING ANY ASPECT OF WHAT YOU SAW? Q.: YOU NEVER RECEIVED A COPY OF MR. FRAZEE’S E-MAIL, DID YOU? Q.: NOT THE INCIDENT REPORT. Q.: JUST FOR THE RECORD I WANT TO SHOW YOU, PLEASE, WE’VE HAD MARKED AS AN EXHIBIT, I’M TELLING YOU IT’S 153 IF YOU WANT TO PUT YOUR GLASSES ON. A.: I WILL PUT MY GLASSES ON. THANK YOU. I WILL JUST LEAVE THEM ON. Q.: WHATEVER YOU’RE COMFORTABLE WITH. I’VE JUST SHOWED YOU A COPY OF 153. YOU’VE NOT SEEN THAT BEFORE, HAVE YOU? I’M NOT ASKING YOU TO READ IT. I JUST WANTED TO KNOW IF YOU HAD SEEN IT BEFORE. A.: NO. CORRECT. I HAD NOT. Q.: — YOU’RE TRAINED IN THE AREA OF DOG ALERTS, AREN’T YOU? Q.: YES. ARE YOU TRAINED IN HOW TO RECOGNIZE A DOG ALERT? Q.: ARE YOU A DOG HANDLER? Q.: HAVE YOU RECEIVED TRAINING IN BEING A DOG HANDLER? Q.: AS PART OF YOUR TRAINING HAVE YOU BEEN TRAINED IN, I DON’T KNOW, A SCENT DOGS AND CADAVER DOGS? Q.: WHEN YOU’RE — AND HAVE YOU ACTUALLY TRAINED DOGS? Q.: WHEN YOU TRAIN A DOG, DO YOU TRAIN THE DOG TO ALERT IN A PARTICULAR WAY IF THAT’S THE PURPOSE OF YOUR TRAINING THE DOG? A.: ACTUALLY WE — WE UTILIZE THE DOG’S NATURAL ALERTING THAT SOME DOGS ARE BARKERS AND THEY — MY DOG DOES NOT BARK. SO I DON’T USE A BARK ALERT. Q.: BUT REGARDLESS, WHEN YOUR DOG ALERTS, IT’S CLEAR, IT’S UNAMBIGUOUS, AND IT’S EXPLICIT, RIGHT? Q.: THERE’S NO MISTAKING WHETHER OR NOT ONE OF YOUR DOGS IS ALERTING, RIGHT? IF THE DOG IS ENGAGED IN AN ALERT, THERE’S NO QUESTION IN YOUR MIND ABOUT IT, IS THERE? A.: NO. THERE SHOULDN’T BE. Q.: AND YOU WOULDN’T EXPECT THAT A HANDLER WHO CLAIMS THAT HIS OR HER DOG ALERTED WOULDN’T BE SURE WHETHER OR NOT THE DOG ALERTED, YOU WOULDN’T EXPECT THAT, WOULD YOU? Q.: IF YOUR DOG WAS HYPOTHETICALLY TRAINED TO ALERT IN A PARTICULAR WAY AND THE PARTICULAR WAY WAS TO SIT DIRECTLY IN FRONT OF YOU AND BARK, AND YOUR DOG ENGAGED IN THAT BEHAVIOR, WOULD THERE BE ANY CONFUSION IN YOUR MIND AS TO WHETHER OR NOT THAT WAS AN ACTUAL ALERT? THE WITNESS: WILL YOU REPEAT THE QUESTION, PLEASE, SO I CAN MAKE THE CORRECT ANSWER. Q.: IF YOUR DOG WAS TRAINED IN A PARTICULAR WAY TO ALERT, AND THAT PARTICULAR WAY TO ALERT WAS TO SIT DOWN, MAKE EYE CONTACT, AND BARK, AND THE DOG DID THAT, WOULD THERE BE ANY QUESTION IN YOUR MIND AS TO WHETHER OR NOT THE DOG WAS ALERTING? A.: THERE WOULD NOT BE A QUESTION IN MY MIND. Q.: AND SO IF A HANDLER HAD A QUESTION AS TO WHETHER OR NOT HIS OR HER DOG WAS ALERTING, WOULD THAT SURPRISE YOU? Q.: BASED ON YOUR TRAINING AND EXPERIENCE, WOULD YOU EXPECT DOG HANDLERS WHO TRAIN DOGS TO ALERT TO BE CONFUSED AS TO WHETHER OR NOT THEIR DOGS HAVE ALERTED? Q.: YOU TOLD US THAT — WELL, LET ME ASK YOU THIS, MA’AM: DID YOU ACTUALLY ACCOMPANY MR. FRAZEE TO THE AREA WHERE HE WAS RUNNING HIS DOG OR DOGS? A.: ON THE DATE IN QUESTION? Q.: AND WAS THERE A REPRESENTATIVE FROM THE SAN DIEGO POLICE DEPARTMENT? Q.: WAS THAT MAN’S NAME DETECTIVE JAMES TOMSOVIC OR TOMSOVIC? MIGHT BE SAYING IT WRONG. A.: I DON’T KNOW THE NAME. DO YOU RECALL WHETHER OR NOT — IT WAS A MALE, IS THAT RIGHT? Q.: DO YOU RECALL WHETHER THE MALE WAS IN A UNIFORM OR IN PLAINCLOTHES? A.: NO, I DON’T AT THIS POINT. Q.: WHEN YOU TALKED TO — I’M SORRY. YOU TOLD ME LAST FRIDAY WAS THE FIRST TIME ANYBODY TALKED TO YOU ABOUT THIS CASE SINCE JUNE, I’M SORRY, SINCE FEBRUARY. WHO WAS IT THAT TALKED TO YOU, DO YOU REMEMBER? A.: YES. WHEN I RECEIVED THE SUBPOENA. Q.: A MAN NAMED COOKSEY TALKED TO YOU? Q.: AND WAS YOUR COMMUNICATION TAPE-RECORDED? A.: WAS THE COMMUNICATION WHAT? Q.: WAS IT — DO YOU RECALL WHETHER OR NOT QUESTIONS WERE ASKED OF YOU BY MR. COOKSEY? Q.: DO YOU RECALL WHETHER OR NOT MR. COOKSEY WAS WRITING YOUR ANSWERS AS YOU WERE SPEAKING TO HIM? Q.: DID HE SHOW YOU THE NOTES TO MAKE SURE, TO ASK YOU WHETHER OR NOT HIS NOTES WERE ACCURATE? A.: NOT AT THAT TIME. A.: I DID SEE A COPY OF THE NOTES THIS MORNING. I’M SORRY, MA’AM. NOTES OR A TYPEWRITTEN REPORT? A.: I’M SORRY. I’M SORRY. YES. A TYPEWRITTEN REPORT. Q.: AND WAS THE TYPEWRITTEN REPORT THAT YOU WERE SHOWN ACCURATE? Q.: ISN’T IT CORRECT THAT AT LEAST ON THE DAY THAT MR. FRAZEE RAN THOSE DOGS NO ONE SUGGESTED THAT EITHER YOU OR MR. FRAZEE KEEP THE EVENT CONFIDENTIAL? A.: NOT — NO, NOT IN DIRECT ORDERS. Q.: DO YOU KNOW WHETHER OR NOT MR. FRAZEE SPOKE TO ANY LAW ENFORCEMENT OFFICER CONCERNING HIS OBSERVATIONS ON THE DATE OF THE OBSERVATIONS? A.: WELL, I DID NOT OBSERVE THAT. Q.: SO YOU DON’T HAVE PERSONAL KNOWLEDGE? Q.: WAS THERE A GENTLEMAN NAMED LIEUTENANT R-O-T-H-E PRESENT? Q.: I’M SORRY. IS THAT ROTHE? A.: I THINK IT’S ROTHE, THAT’S CORRECT. Q.: WERE YOU FAMILIAR WITH THAT GENTLEMAN? A.: I BY PHONE CONVERSATION REQUESTING THE DOGS. I MET HIM BRIEFLY ON ONE OF THE SEARCHES IN THE NEIGHBORHOOD. SO WAS HE PRESENT AND OBSERVING THE EVENTS OF THE DOG RUNNING THAT MR. FRAZEE WAS DOING? MR. DUSEK: OBJECTION. SPECULATION IF HE WAS OBSERVING. THE COURT: WELL, YOU CAN ANSWER WHETHER HE WAS THERE OR NOT. THE WITNESS: LIEUTENANT ROTHE WAS PRESENT. Q.: WELL, DIDN’T YOU TELL MR. COOKSEY THAT LIEUTENANT ROTHE OF THE SAN DIEGO POLICE DEPARTMENT WAS THERE AND OBSERVED THE EVENTS? MR. DUSEK: OBJECTION. SPECULATION IS WHAT SHE SAID. TELL US WHAT YOU SAW, MA’AM. THE WITNESS: WELL, OBVIOUSLY IN MY OPINION HE WAS WATCHING WHAT WE WERE DOING. Q.: AND YOU TOLD THAT TO DETECTIVE — YOU TOLD THAT TO MR. COOKSEY, DIDN’T YOU? A.: WELL, IF THE NOTES SAY THAT, THAT’S WHAT I SAID. Q.: AND YOU SAW IT IN THE REPORT, DIDN’T YOU? Q.: WITH REGARD TO THE COMPARTMENT, I’M SORRY, DID YOU TELL US THAT YOU THOUGHT THE DOG MAY HAVE ALERTED TO A PARTICULAR COMPARTMENT? Q.: CAN YOU DESCRIBE THAT COMPARTMENT, PLEASE. A.: IT WAS A COMPARTMENT IMMEDIATELY BEHIND THE PASSENGER, ON THE PASSENGER SIDE. IT’S A COMPARTMENT JUST PAST THE MAIN DOOR TO THE MOTOR HOME. Q.: AFT. I’M SORRY. I’M NOT GOOD ON BOATS. A.: I’M SORRY. THE ONLY DOOR ON THE — THAT SIDE OF THE MOTOR HOME. Q.: DO YOU RECALL WHETHER OR NOT THE CABINET OR THE CONTAINER, COMPARTMENT, WAS OPEN OR SHUT WHEN YOU MADE YOUR OBSERVATIONS? A.: WHEN THE DOG GAVE ITS FIRST ALERT, THE DOOR WAS CLOSED. Q.: DID YOU SEE WHETHER OR NOT AT SOME POINT THAT COMPARTMENT WAS OPENED AND THE DOG WENT BY IT? A.: WELL, IT WAS OPENED AFTER HE HAD INVESTIGATED AROUND THE EXTERIOR OF THE MOTOR HOME FOR HIM TO DO AN INTERNAL CHECK WOULD BE MY OBSERVATIONS. AND DID YOU SEE THE DOG GO BACK TO THE COMPARTMENT ONCE IT WAS OPENED? A.: WELL, HE WAS HEADED THAT DIRECTION, YES. AND IT WAS OPEN. I’M NOT SURE WHAT YOU — LIKE HE DIDN’T COME RUNNING AROUND THE FRONT OF THE MOTOR HOME AND RUN TO THE DOOR. HE WAS WALKING AND CAME TO THE DOOR. IT WAS OPEN. AND HE — HE WENT IN. I MEAN, YOU KNOW, HE PUT HIS PAWS IN. Q.: I’M SORRY. I’M TALKING ABOUT THE COMPARTMENT. I’M NOT TALKING ABOUT THE MOTOR HOME. I JUST WANT TO MAKE SURE I’M ON THE SAME PAGE WITH YOU, MA’AM. Q.: SO YOU ARE TALKING TO THE COMPARTMENT? A.: I’M TALKING ABOUT THE COMPARTMENT, YES. Q.: WHEN THE DOG WENT TO THE OPEN COMPARTMENT, IT DID NOT ENGAGE IN ITS TRAINED ALERT, ISN’T THAT CORRECT? A.: NO, YOU’RE CORRECT. IT DID NOT GIVE AN ALERT. IT HAD PREVIOUSLY GIVEN AN ALERT, AND THEN IT MOVED IN TO FOLLOW, YOU KNOW, I WOULD SAY AND INVESTIGATE IT, PURSUING IT. Q.: SO ONE TIME THE DOG ENGAGED IN A BEHAVIOR WHICH MR. FRAZEE CHARACTERIZED AS — I THINK HE TOLD US HE WASN’T SURE. Q.: WHEN THE COMPARTMENT WAS ULTIMATELY OPENED, THE POINT IS, THE DOG DID NOT ALERT, RIGHT? A.: IT DID NOT DO ITS TRAINED ALERT AT THAT POINT. Q.: I’M SORRY. ON THE ISSUE OF TRAINING, MA’AM, THESE DOGS ARE TRAINED — WELL, AS THE DOG HANDLER, YOU RECOGNIZE THAT DOGS HAVE CERTAIN BEHAVIORS, RIGHT? Q.: THERE’S — YOU ARE ALSO — WHEN YOU TRAIN THE DOGS, YOU TRAIN THEM WHEN THEY’RE GOING TO ALERT TO BEHAVE IN AN EXPLICITLY CLEAR WAY SO THAT THERE’S NO CONFUSION AS TO WHETHER OR NOT THEY’RE ALERTING, IS THAT RIGHT? Q.: AND WHEN YOU — DO YOU ALSO TEACH HANDLERS HOW TO TRAIN THEIR DOGS? A.: WE WORK — THE HANDLER TRAINS THE DOGS, BUT WE WORK — YES, WE WORK WITH THEM. Q.: DID YOU TEACH MR. FRAZEE? A.: I WAS ONE OF SEVERAL PEOPLE THAT WORKED WITH HIM. Q.: AND DID YOU TEACH MR. FRAZEE THAT IF THE DOGS ALERT, IF A DOG ALERTS, IT’S NOT SOMETHING TO THINK ABOUT, IT’S VERY OBVIOUS? A.: YES. YOU READ YOUR DOG. Q.: DID YOU HAVE ANY TROUBLE READING THE DOG’S ALERT THERE AT THE MOTOR HOME? Q.: WAS THAT AN ALERT? Q.: YOU WERE ASKED QUESTIONS REGARDING CONFIDENTIALITY, WHETHER OR NOT ANYONE SPECIFICALLY SAID KEEP THIS CONFIDENTIAL. AND YOU SAID NOT SPECIFICALLY. WHAT WAS CONVEYED TO YOU OR WHAT WERE YOU AWARE OF? A.: ACTUALLY THIS COULD BE MY — MY KNOWLEDGE OF CONFIDENTIALITY. A.: NOT TO TALK. EVEN WITHIN OUR OWN DEPARTMENT WHEN WE DO CASES WHERE WE HAVE A CRIME SCENE, THEN WE ARE TOLD NOT TO DISCUSS IT OUTSIDE, YOU KNOW, NOT A FAMILY TALK, TABLE TALK, OR FRIEND TALK. Q.: I THINK YOU TOLD US THAT MR. COOKSEY CAME BY AND INTERVIEWED YOU. IS THAT RIGHT? A.: YES, HE DID. ON FRIDAY. Q.: HAS ANYONE ELSE INTERVIEWED YOU? Q.: HOW ABOUT OVER THE PHONE? Q.: SOMEONE INTERVIEWED YOU OVER THE PHONE? A.: YES. I HAD A CALL YESTERDAY. A.: FROM A MARION TASAS. Q.: YOU DON’T KNOW WHAT SHE LOOKS LIKE. Q.: DO YOU KNOW IF SHE TAPE-RECORDED THE CONVERSATION? A.: I DO NOT KNOW THAT. Q.: DO YOU KNOW IF SHE KEPT ANY NOTES? A.: I DON’T KNOW THAT SHE DID. IT WAS A TELEPHONE CONVERSATION. Q.: DO YOU KNOW IF SHE WROTE ANY REPORTS OF WHAT YOU SAID? A.: I DO NOT KNOW. Q.: DO YOU KNOW IF SHE GOT IT DOWN RIGHT? Q.: WOULD YOU LIKE TO SEE HER REPORTS? MR. FELDMAN: RELEVANCE. OBJECTION, YOUR HONOR. Q.: DO YOU KNOW WHERE IT IS? A.: WHERE HER REPORT IS? MR. FELDMAN: THAT ASSUMES FACTS NOT IN EVIDENCE, YOUR HONOR. MR. DUSEK: NO FURTHER QUESTIONS. Q.: DO YOU KNOW WHO HAS THE BURDEN OF PROOF IN A CRIMINAL CASE, MA’AM? THE COURT: ALL RIGHT. WE ARE NOT GOING TO ARGUE IT NOW. MR. FELDMAN: SUBJECT TO RECALL, YOUR HONOR. THE COURT: MA’AM, YOU ARE GOING TO BE SUBJECT TO RECALL, WHICH MEANS THEY MAY CALL YOU BACK. BUT IN THE MEANTIME YOU ARE FREE TO LEAVE TODAY. PLEASE DO NOT DISCUSS YOUR TESTIMONY WITH ANYONE UNTIL YOU’RE CALLED UPON AND UNTIL THIS MATTER IS OVER. THE COURT: WOULD YOU KINDLY HAND THOSE TWO REPORTS TO MR. DUSEK ON YOUR WAY BY. THE COURT: DO YOU WANT TO GET STARTED OR DO YOU WANT TO TAKE THE MORNING BREAK? THE COURT: WE HAVE ANOTHER WITNESS READY TO GO, LADIES AND GENTLEMEN, SO THIS IS PROBABLY A GOOD SEGUE INTO THE MORNING BREAK. PLEASE REMEMBER THE ADMONITION OF THE COURT NOT TO DISCUSS ANY OF THE EVIDENCE OR TESTIMONY AMONG YOURSELVES OR WITH ANY OTHER PERSONS. AND ALSO REMEMBER NOT TO FORM OR EXPRESS ANY OPINIONS ON THE MATTER UNTIL IT’S SUBMITTED TO YOU. PLEASE BE BACK OUTSIDE THE DOOR AT TWENTY-FIVE MINUTES ‘TIL. THAT WILL BE 10:35, PLEASE. MR. CLARKE, USE YOUR BEST EFFORTS TO GET AN ANSWER TO THE QUESTION THAT’S PENDING.